ARE YOU A SMALL SHARK? ARE YOU ELIGIBLE TO PITCH? November 7th, 2018, WISE will hold the 9th Annual Giving Back event, Small Sharks in the Big Lake, the Grand Rapids Non-Profit Pitch Competition. 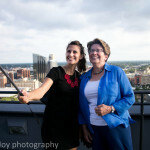 WISE invites local Grand Rapids non-profits to pitch to local business leaders. Selected Grand Rapids non-profits will pitch judges for funding consideration. The WISE audience and a carefully selected corporate panel will hear each non-profit’s unique pitch. WISE panelists will then ask questions and offer guidance to increase each organization’s chance for current and future funding. If you are a local Grand Rapids non-profit, or if you know a local woman or family-centered non-profit that you would like to invite to pitch, please read the following information on Grand Rapids non-profit pitch competition eligibility and have them complete the online application. Submission deadline is September 24, 2018 at 5:00pm EST. Please note the schedule below for follow up and save the date to attend the fun event. All organizations considered must be a local Grand Rapids area non-profit. Non-profit organizations located within a 30-mile radius of downtown Grand Rapids are considered to be Grand Rapids area non-profits for this competition. Please contact us if you are unclear if your location fits these parameters. The Grand Rapids area based non-profit must be majority owned and/or managed by a woman age 18 or older who is not related to any WISE founders. 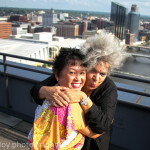 WISE encourages small non-profit organizations founded and/or conceived of by women. Female must hold key management role and be actively involved in the operations of the organization and participate in the WISE Shark Tank presentation. All non-profit entries will be dedicated to serving one of three categories: women, children or families. The mission of the organization is not limited. The mission/purpose of the organization can be; to feed, clothe, educate, care for, increase awareness of, etc. WISE reserves the right to confirm that an applicant meets these requirements. 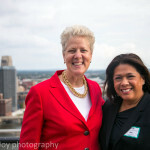 The WISE Grand Rapids non-profit pitch competition will occur during the WISE 4th Quarter Giving Back Event. 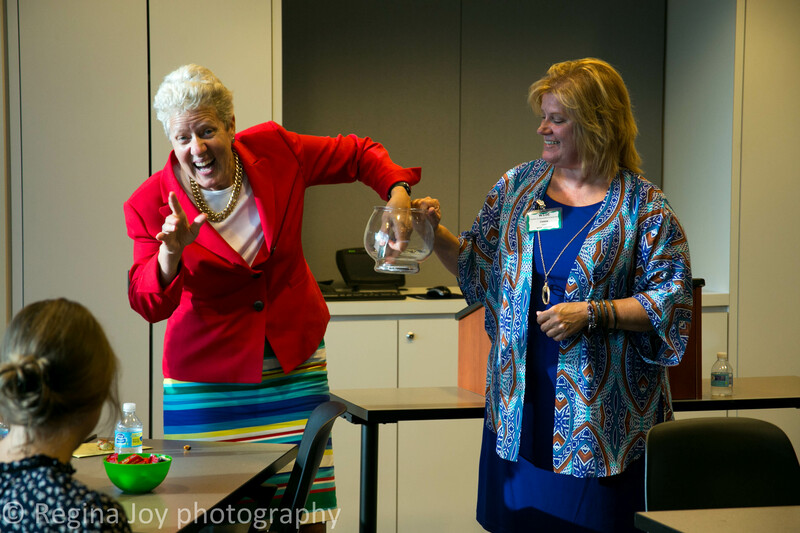 The WISE Pitch is a “helpful feedback-driven” pitch competition where chosen local Grand Rapids non-profits will receive constructive insights from Grand Rapids area women leaders. The objective is to receive input from the expert panel, introduce the non-profits to the WISE audience, award monetary prizes, while increasing awareness of each non-profit through promotions and presentation. Presenters will be allotted 15 minutes each to present to the panel and audience. The presentation format is flexible from a one-on-one discussion to an interactive or Powerpoint presentation, the medium is up to the presenter. Chosen non-profit presenters will be evaluated by judges who will select the winners. In addition, a ‘Popular Vote’ prize will be awarded. The WISE audience will vote for their favorite non-profit pitch. Five dollars of each ticket sold will fund the popular vote prize. WISE also encourages local professional women and men to donate monetary awards or services to the non-profits. We encourage WISE members and friends to consider donating funds, products or services that may benefit the non-profits. From office supplies to complimentary consultations or mentoring we hope each non-profit will receive value for many years to come. Please email info@wiseconnections.org if you have a product or service that could benefit one or all of the local non-profits who are giving so graciously to our community. Print a copy of the terms and conditions for your records. 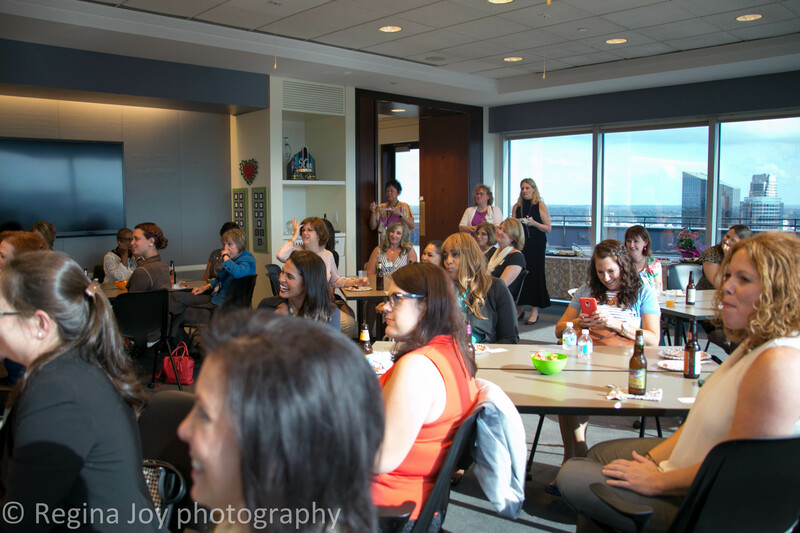 This evening event was created for women in business to poke fun at the ever-elusive goal of work-life balance. 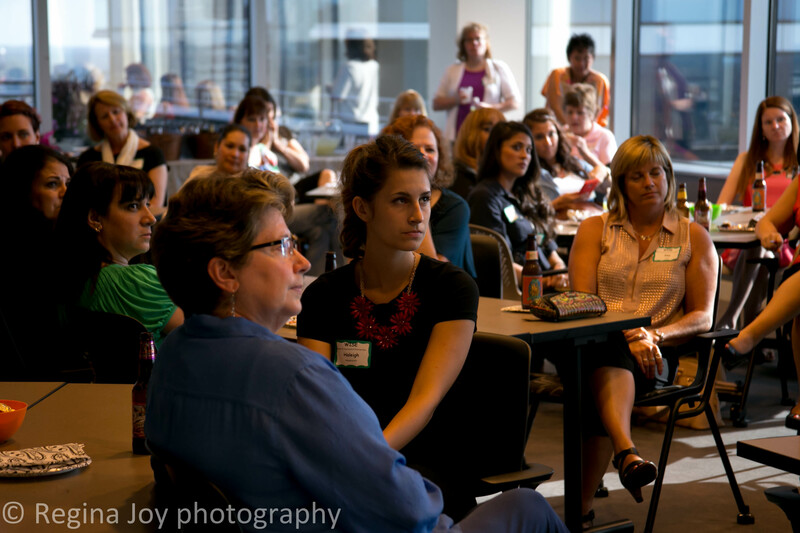 Grand Rapids Women In Successful Enterprises (WISE), a collection of leading, like-minded and entrepreneurial women, has announced that it will host an innovative business event at Start Garden, Downtown Grand Rapids, Michigan on the 17th of May 2017. This groundbreaking and revolutionary event will feature captivating business networking and educational get-together focused on discussing how to use humor to achieve work-life balance and feel better about chaos. 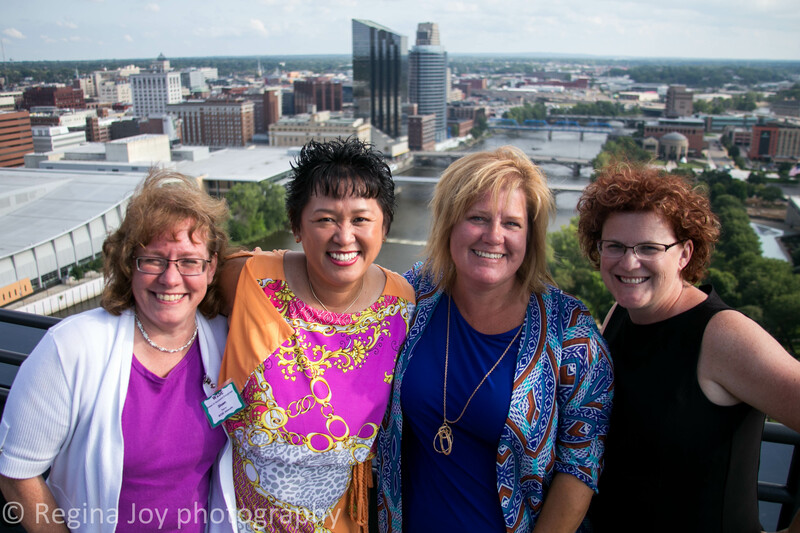 Based in Grand Rapids Women In Successful Enterprises (WISE) was established with the primary aim of providing an encouraging environment for women-owned businesses to network and work together to build wisdom and extend support for growth and business success. The activities of the non-profit resource for women entrepreneurs are focused on fostering an environment of growth and support where businesswomen connect with each other; thereby taking their businesses to the next level and contributing to each other’s successful business growth and development. In the bid to achieve this laudable primary aim, Women In Successful Enterprises gathered a team of qualified women entrepreneurs and business veterans to organize events, seminars, and lectures designed to empower and educate women in business on ways of engaging and surviving in their businesses. 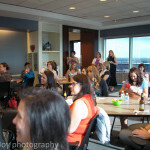 “Through a perfect blend of expertise and the business experience of our noble team as well as leveraging advanced technology, we have successfully delivered the most creative and educating events to women in business within the West Michigan area”, said Connie Sweet, co-founder of Women In Successful Enterprises. To host this creative and fascinating event, Women In Successful Enterprise is collaborating with other organizations that will contribute to making the event a memorable occasion. 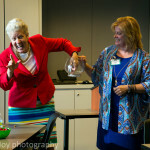 The organizations include SBDC, GROW and Funny Girls. 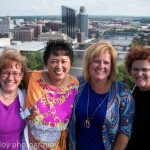 For further information about Grand Rapids Women In Successful Enterprises (WISE) and its upcoming business event visit our events section on the website. Clear your calendar for an evening of empowerment and business opportunities. 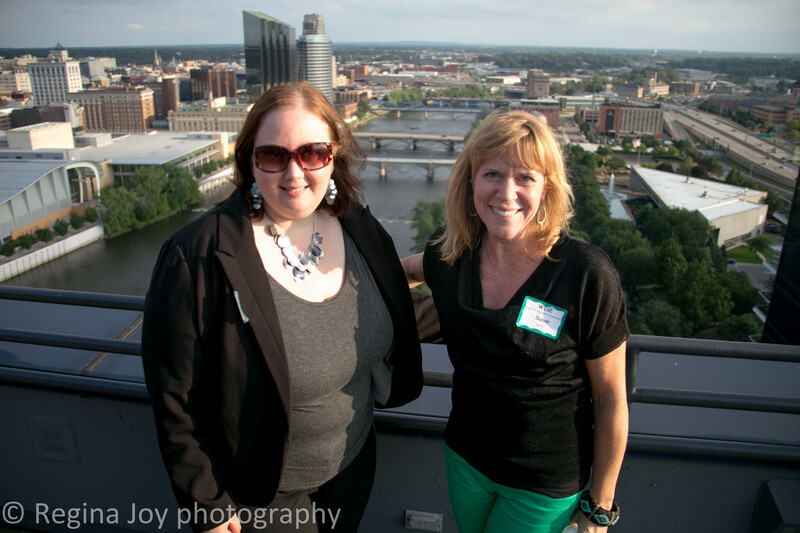 Join WISE women at Varnum downtown Grand Rapids for an in-depth inquiry of three leading Grand Rapids partnerships. How do partnerships not only survive but thrive? How are tasks shared or divided? Learn how each panelist got where their business where it is today. What was their encouragement? How did they find a void in the industry? This year WISE has invited three influential women who lead local partnership entities in a panel discussion. Sue Schweim Tellier of JetCo, Michelle Landon of ATI Group, and Helen Zeerip of Teddy’s Transport. Each member has achieved success in their career fields and will share their experience and insight to attendees. Michelle has had life-long exposure to ATIGROUP as the daughter of CEO, Michael Bunting. Michelle worked summer vacations. Michelle used the summer to gain the knowledge of field service operations. She learned service operations and office skills from her father. Michelle attended Northwood University, graduating with a Bachelors of Business Administration degree in 2001. As of May 2003, Michelle has been a full time employee with ATIGROUP. She began her career working as a sales person. As a sales representative, Sue educated herself on the processes and intricacies of operating a family business. She then created techniques to discover what customers expect from ATIGROUP. Michelle became President of ATIGROUP as of June 17, 2013. Michelle accredits her achievements inside the company to her Northwood University education. Tellier is a specialist in business to government (B2G) marketing. She identifies a businesses communication strategy. Using targeted bid responses and customer marketing discriminators she helps businesses secure coveted government contracts. 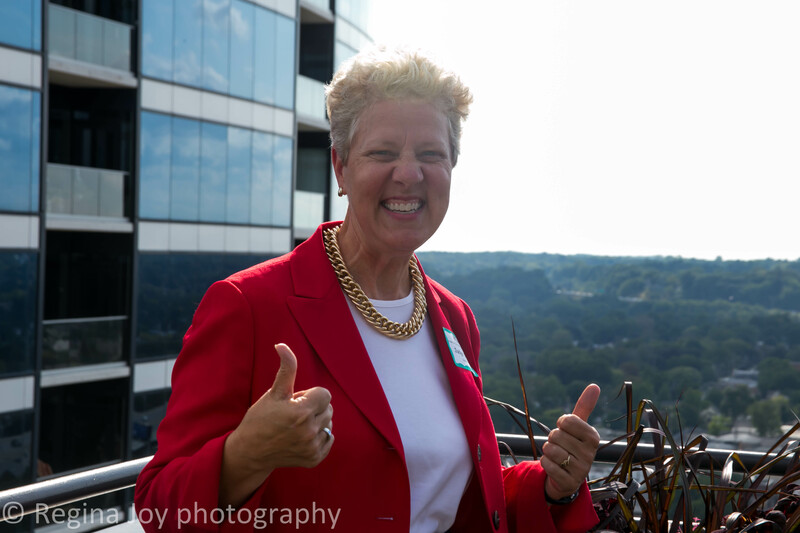 Sue and her husband Jon started JetCo Solutions in 2007. Since that time, Sue’s team at JetCo has helped clients win more than 275 contracts valued at more than $3 billion. 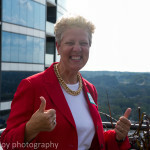 Sue is active in small business and proposal management advocacy. 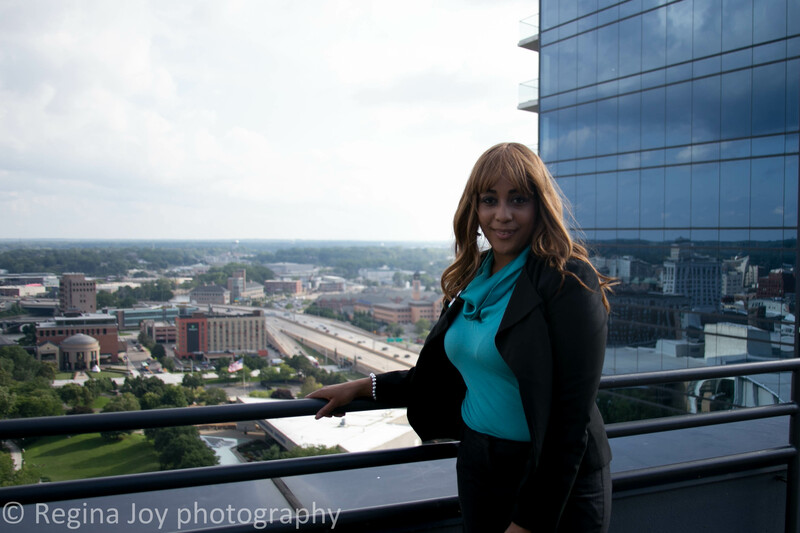 She is a board member for the Small Business Association of Michigan (SBAM) and the Association of Proposal Management Professionals (APMP) Greater Midwest Chapter. She holds a Bachelor of Science Degree in Public Affairs Management from Michigan State University. Later receiving a Graduate Certificate in Economic Development from Wayne State University. has been nominated for Michigan 50 Companies to Watch. Helen is a Leadership Holland Graduate serving on the Curriculum Committee and Executive Committee. 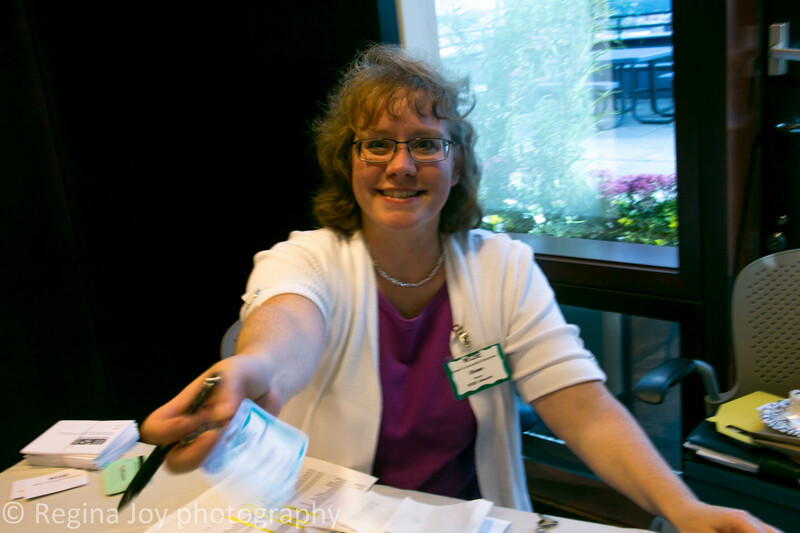 Helen has served on the Michigan West Coast Chamber Board, Pathways MI Board and Wings Home (Hospice) Board. 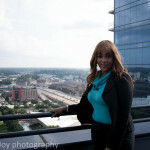 The Grand Rapids Business Journal (2012) announced Helen as one of the ‘Fifty Most Influential Women in West Michigan’. She is a triple time ‘Athena’ nominee and ‘Athena’ award winner in 2014. Helen currently serves on Davenport University’s Maine College of Business Board of Advisors. She belongs to West Michigan Policy Forum Board of Directors. In September 2014 Helen founded ‘Grant Me Hope.’ A marketing initiative focused on getting older children in the foster care system adopted. Grant Me Hope campaign gives the children a television platform to find them an adoptive family. She currently has foster children airing on five television stations in Michigan and Ohio. She plans to take this initiative national. The panel is moderated by Shelley Irwin, host and producer of WGVU Morning Show. Shelley has twice been named one of the ’50 Most Influential Women’ by Gemini Publications. She earned the ‘Gracie Allen Award’ five consecutive years and serves on several community boards. Recently Shelley competed in the Long Distance Triathlon World Championships representing the U.S.. WISE is proud to have Shelley as one of our cheerleaders and we are some of her largest fans and want to congratulate her on this achievement. 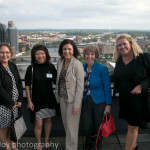 Interested in learning how local Grand Rapids Partnerships and their leading women have climbed the ladder of success? Bring your questions and network at Women in Successful Enterprises event at Varnum in Grand Rapids, MI. 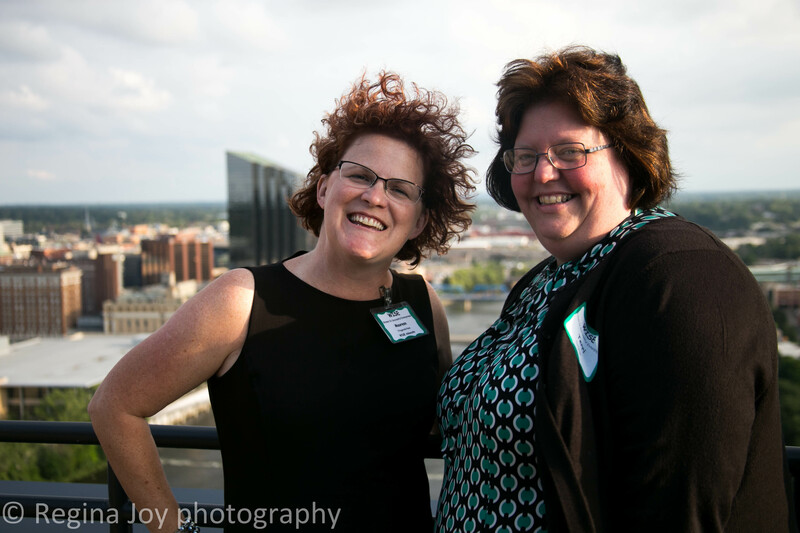 Women in Successful Enterprises was founded in 2009 for women-owned businesses to network and work together to build wisdom and extend support. WISE is a non-profit resource for women entrepreneurs in the second stage of business, and currently serves the West Michigan area. 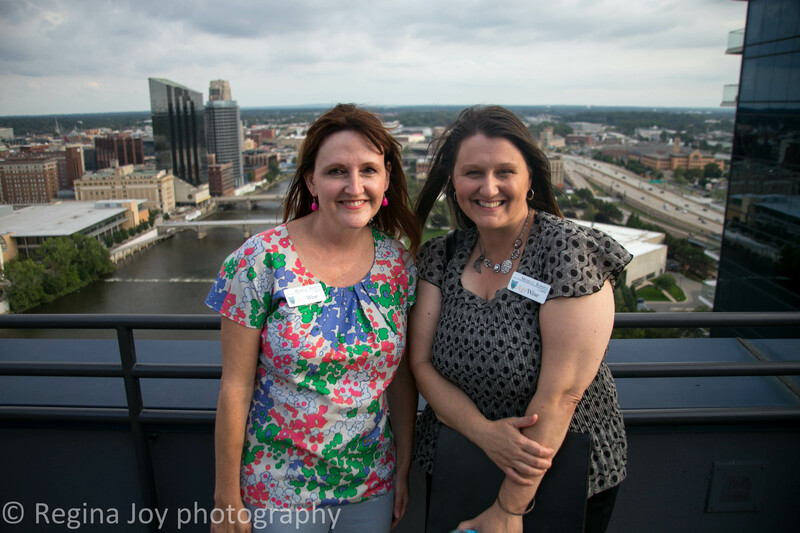 Co-founders Connie Sweet of Connection Graphics, and Floriza Genautis of Management Business Solutions work with member advocates to design creative and contemporary events and communications to serve women business leaders throughout the West Michigan community. 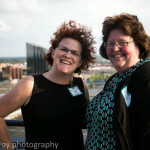 Grand Rapids Women In Successful Enterprises in tandem with GROW welcomed attendees to the March 16. 2016 1st Quarter WISE Event. 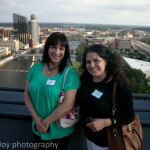 WISE members include women owned business leaders in the Grand Rapids area and throughout West Michigan and Lansing. 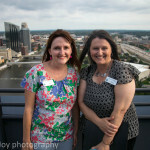 All Grand Rapids women in business, and men, are welcome to attend, regardless of WISE membership or business ownership. 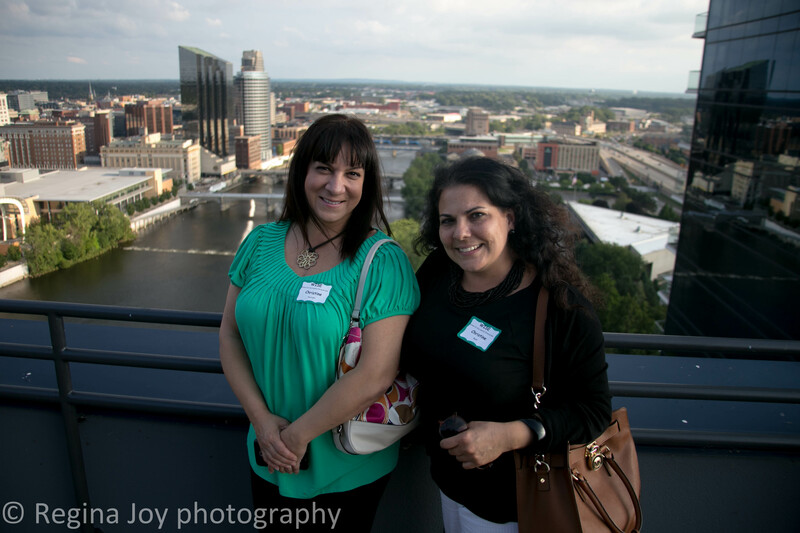 This event attracted Grand Rapids women owned businesses and women in business who collaborate and work with with women business owners. The evening featured dedicated business networking time and an educational focused on keeping small and large businesses and corporations throughout the grand Rapids area safe from fraudulent hacks. The event was sponsored by Comerica. We were fortunate to have a few ‘Comericans’ present. Patti Griswold, Senior Vice President, Michigan Market Manager Retail Banking Comerica Bank welcomed everyone and introduced our speaker, Nicole Rackov. Nicole is Vice President of Fraud Services at Comerica Bank. Her presentation was an eye opener for all who attended. With email and phishing scams being aware of the tricks and techniques scammers use to infiltrate private information is critical to keeping our companies and our personal finances safe. Kicking off the 2016 event calendar at GRCF was like coming home again. As is their norm, Jan Burns and Shaun welcomed us graciously helped organize the space for optimal networking and comfort. Many attendees enjoyed ours of the original Anheuser-Busch Icehouse after the presentation. It is a historical space and GRFC has done a beautiful job restoring the building and repurposing it for their use while extending it to groups like WISE. 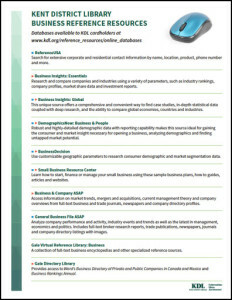 We’re very fortunate GRCF welcomes WISE and WISE members. 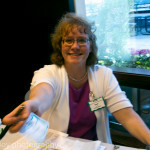 And a big shout out to Jan Burns who moves tables and seating around like a pro mover! The event couldn’t have been more successful because we had the finest food in town! Food and drinks were catered by Amore Trattoria Italiana highest quality, delicious food and first class service. Thank you Jens and Chef Jenna. The vegetarian mushroom caps are now a huge favorite – and even the most stringent and healthiest amongst us had to have a spoonful of the decadent tiramisu! Thanks Amore team! WISE women know a good thing when we find it – and we return time and time again. Don’t miss out next event: City of Bliss : Empowering Diversity and Inclusion with Local Businesses. Mayor Rosalyn Bliss will be presenting WISE attendees about her plans for increasing business opportunities for everyone. The GR Forward plan will also be a highlight. 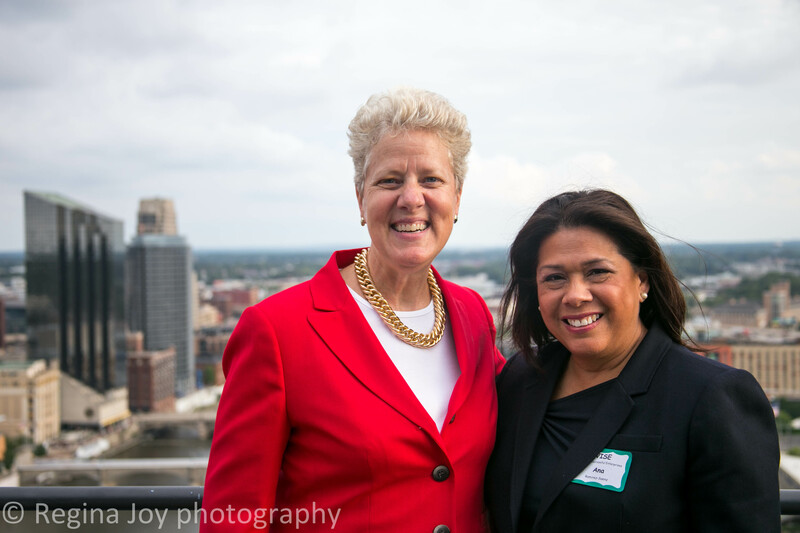 The event will be held at Downtown Grand Rapids, Inc in tandem with Michigan Women Enterprise Council following their Executive Leadership Institute for Women conference at Grand Valley University Downtown Grand Rapids campus. Thank you to all who attended and a special thanks to Judge Sara Smolenski for such a great event! While women have made great strides in many aspects of the business world, there are still careers that are dominated by men. 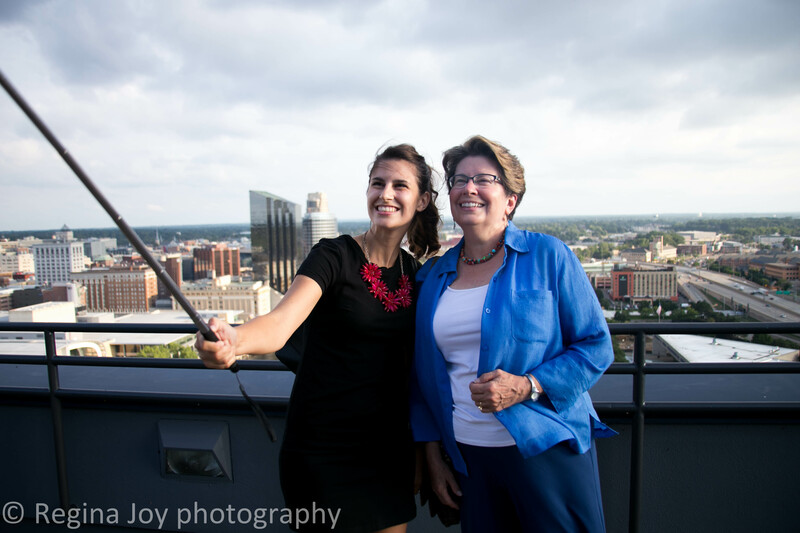 Learn from one trailblazer, Judge Sara Smolenski, about what it takes to craft a successful career when most of your mentors hang out in the men’s room. Judge Smolenski will infuse this conversation with humor but make no mistake, her career path wasn’t always lined with roses. 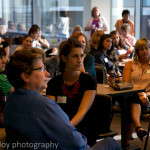 Bring your questions and plan on sharing your own successes with other business-minded women as you network. 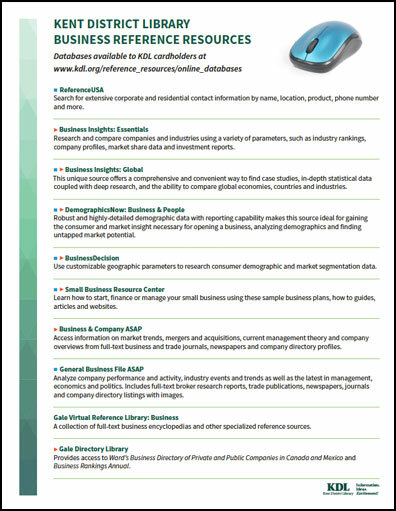 On March 11, WISE hosted a great event at the Kentwood branch of the Kent District Library showing entrepreneurs and small businesses the amazing reference resources KDL has available. Rick from Reference USA and Linda Krombeen from KDL were terrific and the event was far beyond a typical library experience. A huge thank you to KDL for inviting us into the wonderful space and for showing us the fabulous services you provide to Grand Rapids entrepreneurs. 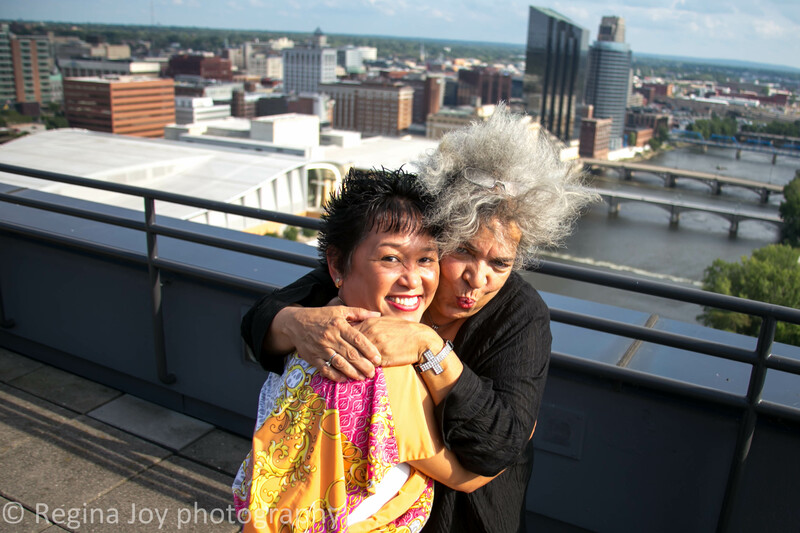 WISE Grand Rapids business women were fortunate to spend time with Chef Jenna of Amore Trattoria Italiana on Wednesday August 20 at the Downtown Grand Rapids offices of Varnum. 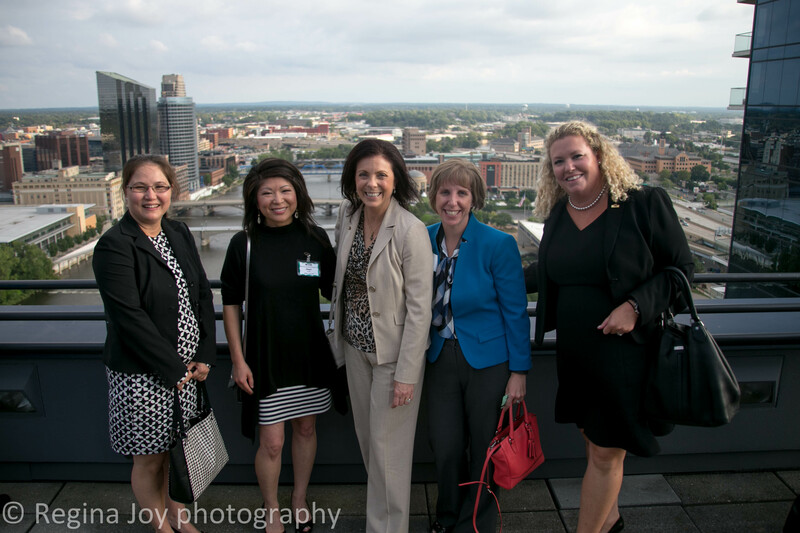 All the elements of a successful business networking event were in place; a beautiful venue with spectacular views of the Grand Rapids skyline with billowing white clouds and crisp blue sky. Wine was plentiful as was the tantalizing hors’d oeuvres and desserts prepared with expertise and lots of amore by Chef Jenna and her staff. All of these treats served along with the laugh out loud and heartwarming story that is the life of Chef Jenna captured the audience and endeared WISE attendees to the talented Grand Rapids female chef. Chef Jenna and husband Maurizio Arcidiacono have carved a special place in the hearts of Grand Rapids foodies with their award winning food and unique touch of personally greeting their customers. Chef Jenna’s passion, love for Italian food and serving the Grand Rapids community is apparent in the tasty morsels she provided, the smiles she shared, and the love that filled the room as she gave us a taste of what Amore is all about. As every successful business owner knows it’s not all award ceremonies and recognition. It is the skill of rolling with the punches that separates the week from the strong. WISE attendees heard first hand authentic stories spun with Chef Jenna’s funny twists on the day to day challenges that the restaurant industry delivers. Thankfully, she loves what she does enough to plow through, always see the humor and share the love. 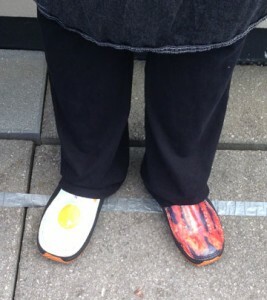 You know anybody who wears bacon and egg shoes is going to fun to hang out with! Be sure to visit the restaurant to enjoy homemade pasta, authentic recipes from Nonna, and the unique specialties offered. Share your reviews with Chef Jenna and Maurizio when they visit the dining room. If you don’t see Chef Jenna at the restaurant while you are there she is probably out at event like WISE where she is gifting her time, expertise and food for a greater cause. We are so grateful to Chef Jenn for saying ‘yes’ to WISE and sharing her time, story, love and food with us! We didn’t even have to have Jeff Daniels in the crowd to bring her in! This is just the beginning of the many more evenings these Grand Rapids business women will share with her and her incredible Italian food at her restaurant located at 5080 Alpine Ave. Comstock Ave, MI 49321. If you are interested in a special treat Chef Jenna offers chef tables at the restaurant and catering for events. Call ahead for specifics. You can also visit the Amore website for more information, reservations, recipes, and hours. While there , indulge in archived videos of local television spots where Chef Jenna has featured some of her recipes. For daily treats follow Amore on Facebook and Twitter along with AmoreChefJenna on Twitter and personal Facebook. 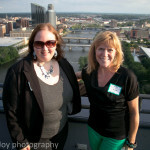 I don’t believe there has ever been a more enjoyable evening of networking with local Grand Rapids business women. Thank you Chef Jenna! Benvenuti! What does success mean to you? Is it fame, fortune, a sense of belonging, being part of a community? There are so many definitions for success, but for WISE women the common thread is a growing business. Whether your business is just starting or well on its way, the road to success is paved in gravel and there will always be little bumps along the way. It’s important to have a community of friends and colleagues you can turn to with questions – or just to bounce a few ideas around with – and WISE provides that opportunity for anyone with an entrepreneurial heart. To that end, we’re so pleased to welcome Chef Jenna from Amore for our 3rd Quarter Event, Building Success From Scratch. Jenna Arcidiacono from Amore De Trattoria, Grand Rapids’ very own 2013 Chef of the Year, will share her recipe for success on Wednesday, August 20. 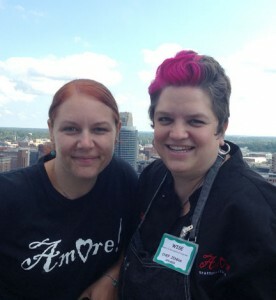 Networking starts at 5PM, with beverages and specially prepared tastings from Chef Jenna, on the sky deck at Varnum. Don’t miss this outstanding summer event and your opportunity to build success from scratch with a dash of seasoning from Chef Jenna.